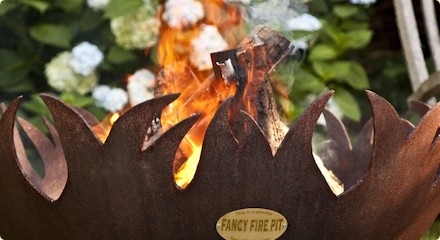 Fancyfirepit.com creates beautiful, functional fire pits and bowls from previously used carbon steel tank heads. 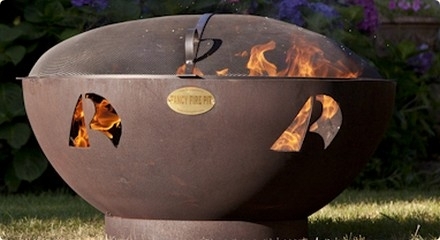 Each fire pit is hand made in our shop from recycled steel. We specialize in custom work. 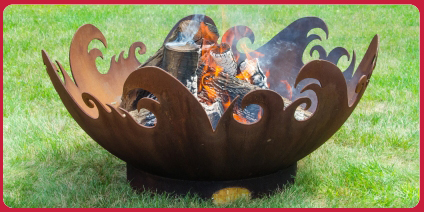 You can choose from one of our unique designs or we will create a custom fire pit to your specifications. 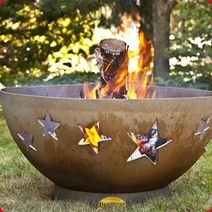 Fancy Fire Pits are durable and distinctive. The carbon steel will weather to a rich dark patina and may be left outdoors year round in any climate. 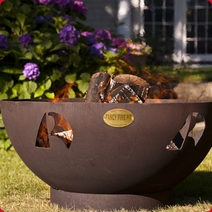 Discover the fun of gathering around a warm, inviting fire with a Fancy Fire Pit. You will enjoy it for years in your garden. 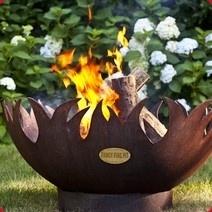 We will make you an original Fancy Fire Pit designed to your specifications. 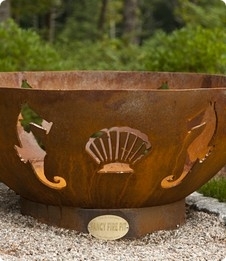 Your custom fire pit will be made of our recycled carbon steel and will last in your garden for many years. Call us and we can start the design process on your unique Fancy Fire Pit. 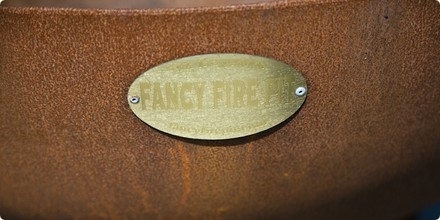 Fancyfirepit.com is a small, family-owned company committed to excellence in all our products. Our long involvement in the steel tank industry has allowed us to recycle carbon steel tank heads into beautiful, Fancy Fire Pits. All of our fire pits are hand crafted and designed to last a lifetime. 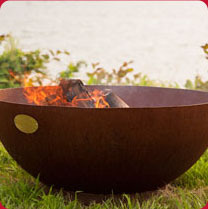 With quality, beauty and a great price, Fancy Fire Pits add light to your life.